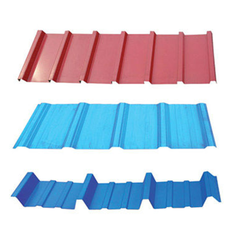 We are a leading Manufacturer of insulated standing seam roofing sheet, color coated tile roof sheet, tile roof sheet, colour coated roofing sheet, roofing steel sheet and steel roofing sheet from Mumbai, India. 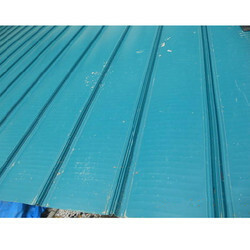 Insulated Standing Seam Roofing Sheet offered can be offered by us . 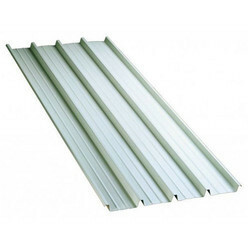 Featuring EPS inter layers of these roof panels can be offered in different color choices to pick from. Some of its features include providing for superior heat and corrosion resistance, waterproof and windproof performance, provides safeguards against heavy rain and hail penetration, provides for easy installation support, comes with aluminum-zinc alloy coated finish for superior performance and service life. 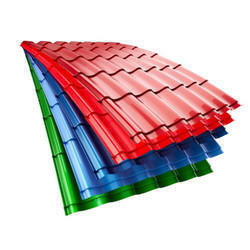 Color Coated Tile Roof Sheet offered come in quality construction finish and provides for stylish roof presentation as demanded by the customers. Providing for superior resistance against corrosion a well as UV rays, these tiles maintain their color without fading for long times to come. Some of its features include stable color and physical properties, suitable resistance against usage in cold or hot weather conditions, provides for superior sound insulation support, good thermal insulation, choice of OEM specifications as per the demands of the customers. 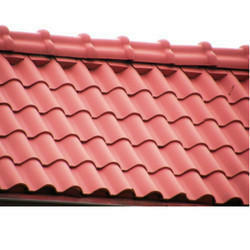 Tile Roof Sheet offered come in precision designed and construction finish so as to perfectly match up with the different roofing requirements. Further, the superior construction values of these sheets also make them provide for excellent resistance from corrosion as well as deliver optimum sound insulation and fire retardant support as demanded by the customers. Some of its features include superior fire retardant finish, light weight that makes these easy to install, environmental friendly option to use, use in areas like buildings, exhibition halls, gymnasiums, superior resistance to peeling and flaking, high performance in all-weather conditions. 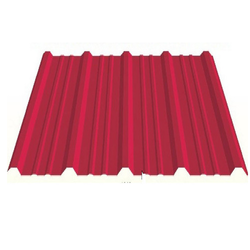 Color Coated Roofing Sheet offered features precision construction finish and find wide suitability indifferent application areas like building exteriors & interiors, building industry, roof structures and others. Other than this, these sheets are also suitable to be used for garage doors, shutters, makeshift houses, room doors, light house steel structures, sliding doors and others. Some of its features include superior durability finish, provides for longer service life, offer optimum heat resistance, superior machining and weld-ability properties among others. 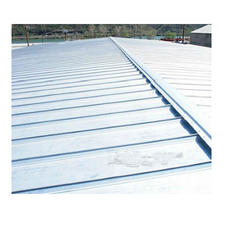 Roofing Steel Sheet offered comprise hot dipped galvanized steel sheet that provide for excellent corrosion resistance as well as can be provided with different surface treatment choices like spray painted, color coated and others. Some of the areas these find suitability in include for structural use, in roofing processes, for office buildings and others. Some of its features include superior heat resistance, provides for superior aesthetic finish, choice of different patterns and multiple, suitability for use in various areas. 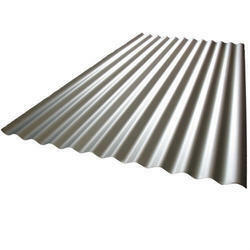 Steel Roofing Sheet offered can be made available in different finish designs and specifications so as to perfectly match up with the specific end usage application needs at customer’s end. These can be developed using hot/cold rolled technique as well as in galvanized construction finish so as to perfectly match up with the specific working needs of the customers. Some of its features include light-weight and high-strength finish, superior resistance to erosion and corrosion, provides for easy-installation support, choice of different colors to pick from, suitable for application in areas like workshop, in transportation areas. 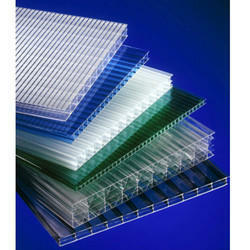 We are a leading name in the industry to offer high quality Bare Galvalume Sheet. 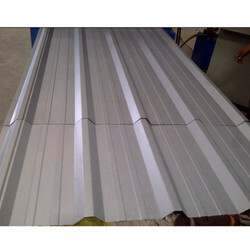 These sheets are used for roofing & siding purposes and in other non-construction applications as well. 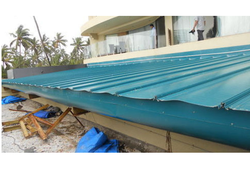 Our company is among the most sought after offering GI Roofing Sheet to the clients. This product is made by our experts using high quality galvanized iron in compliance with latest market standards of quality. 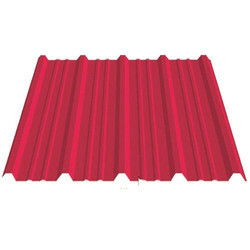 Pre-coated Roofing Sheets offered comes in cold rolled finish using galvanized steel/pre-painted galvalume steel sheets. 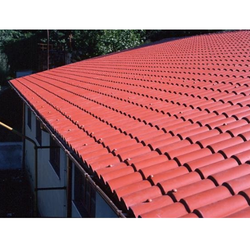 featuring perfect construction finish, these find extensive use as roofing panel in buildings like industrial structures or warehouses among others. some of its features include anti-corrosion and high-temperature resistant finish, provided with black painting/galvanized finish, light weight construction finish, longer service life of the panels, can be provided in different color choices, suitability for different building styles among others. 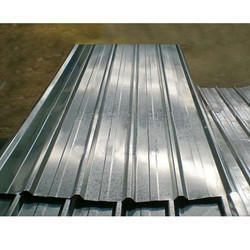 MS Roofing Sheet offered comes in cold rolled finish using galvanized steel/pre-painted galvalume steel sheets. 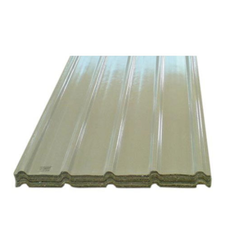 Featuring perfect construction finish, these find extensive use as roofing panel in buildings like industrial structures or warehouses among others. Galvanized Steel Sheets offered can be made available by us Further, our expertise lies in offering these sheets in different lengths as demanded by the customers. Some of its features include available in hot dip galvanized steel coil/sheet finish form; can be made available in JIS, ASTM, EN and other industry standards; can also be provided with zinc coating support; surface structure of zero spangle, minimized /regular spangle and others. Galvanized Steel Sheets offered feature superior construction finish and made of steel/aluminum metal and coated finish like zinc alloy and others through continuous hot dip process. 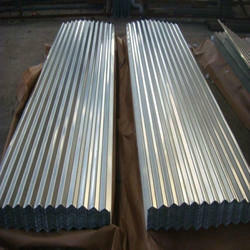 These sheets come with properties like superior resistance to corrosion as well as longer service life. Some of its features include optimum heat resistance support, highly resistant to oxidation and discoloration, superior heat reflection, allows for easy construction support, suitability for use in areas like home appliance, automobile industry can be provided with regular, zero & minimized spangle support among others. 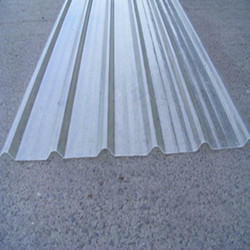 Polycarbonate Roof Sheet offered feature quality construction finish and are best suitable for providing high light transmission in the interior areas. Further, its superior construction values also make these sheets have superior impact resistance in comparison to ordinary glass and acrylic plate of same thickness. Some of its features include superior support against aging and UV resistance, provides for good weather resistance, light weight finish which makes these easy to install, good fire-retardant properties, perfectly adapt to larger temperature differences. Color Red, Blue, Green , etc.